There’s nothing better than the warm taste of a chocolate beverage in the winter. With a rich chocolate base, including the refreshing taste of peppermint and a small hint of espresso, the Peppermint Mocha is delicious. These two flavors blend perfectly with the mocha, adding a little bit of caffeine to this delicious holiday special. This tasty treat tends to be on the expensive side, however you are paying for the quality. The typical size, grande, is $4.95 plus tax. Although this is steep for a medium size coffee, the quality and overall exciting flavors of the drink are well worth the price. While Starbucks does not offer mugs that are meant for in-store use, you can still see the perfected drink if you lift up the lid of their signature Red Cup. The Peppermint Mocha is topped with a small swirl of whipped cream, little chocolate chips sprinkled over the top, and finally a drizzle of chocolate syrup. Just one whiff of this drink will have you dreaming of snowy days of winter and leave you with a happy holiday feeling. The refreshing taste of peppermint only adds to the magical Christmas feel you get when drinking this beverage. Anna Sullivan is an Entertainment Editor for The Patriot and jcpatriot.com. The Starry Night Latte is unlike any holiday beverage. It is unique in its flavor, with elements of hazelnut, toffee nut, and chocolate, which combine to create a delectable drink. The blend of multiple flavors gives a one-of-a-kind and savory taste to the hot beverage. For a local business, Coffee Coffee’s prices are comparable to coffee corporations like Starbucks. A 12-ounce Starry Night Latte costs $3.95, but customers are paying for a quality drink as well as great service, while supporting a small business. Unlike Starbucks, Coffee Coffee does not have a signature holiday cup, but the presentation is still impressive. 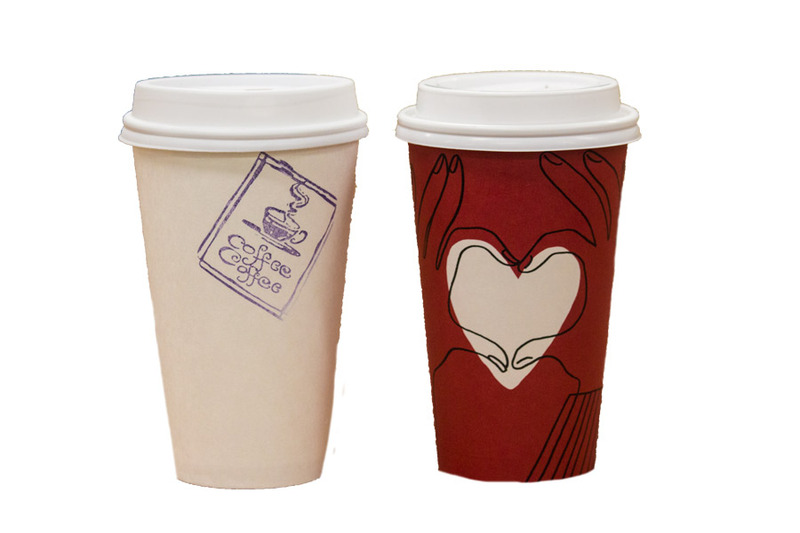 Coffee Coffee’s cups are stamped with their unique purple logo. The latte itself is topped with art, making their coffee much more impressive than their corporate counterparts. Although the Starry Night Latte is not your average Christmas drink, it still creates a holiday feeling with its winter flavors. The hazelnut and toffee flavors add a cozy feeling. If you’re looking for a different kind of beverage, this drink is for you. Caitlin Kennedy is an Entertainment Editor for The Patriot and jcpatriot.com.